American media has recently changed its narrative while covering the situation in Aleppo, Professor Stephen F. Cohen highlighted. In the blink of an eye, al-Qaeda-inspired jihadists in eastern Aleppo have turned into "rebels," while Moscow and Damascus have become "war criminals" in the eyes of Washington. While covering the situation on the ground in Syria the US political-media establishment has gone from "the fog of cold war" to "falsification," Stephen F. Cohen, professor emeritus of Russian studies at Princeton University and New York University, stressed during his interview on The John Batchelor Show. Commenting on further deterioration of US-Russian relations, Professor Cohen highlighted a peculiar reversal of the US mainstream media narrative of the ongoing battle for the Syrian city of Aleppo. The American academic recalled that about two or three weeks ago the US media narrated that Aleppo, one of the largest cities in Syria, was divided into two parts. The city's western sector was controlled by the Syrian Arab Army (SAA), while the eastern part was occupied by al-Qaeda-inspired terrorists. Cohen called attention to the fact that the US-Russian agreement on Syria envisaged joint military actions by Washington and Moscow against former al-Qaeda branch al-Nusra Front in Aleppo. Inexplicably, the narrative has drastically changed a few days ago. "If you pick up a paper today the narrative is completely different," the US academic stressed, "In Aleppo there are only rebels, there are no longer terrorists. You don't see the word 'terrorist' or 'jihadist' in the narrative any more. And alongside them, with rebels protecting them, there are children who are being killed by Russian and Syrian war planes." As the whole narrative has been re-written, Moscow and Damascus are now being portrayed as "war criminals" which are targeting civilians in Aleppo, he noted. "The reality is that western sector in Aleppo [and its children] is suffering just as much tragedy… from the attacks by the people we now call 'rebels' but who are in fact jihad terrorists in eastern Aleppo who are firing mortars in the western Aleppo. Those children don't count. It's only the other children who count. And we see their pictures on TV all the time," the professor underscored. According to the US academic, the inconvenient truth is that the US and its allies in one way or another have abetted terrorists in Syria for many years. "The motive of the United States, the only mission that the US has in Syria, is removing [Syrian President] Assad from power," Cohen emphasized, adding that the most powerful force fighting against Damascus are jihadi terrorists. In this context Washington's reluctance to separate jihadists from "moderate rebels" is understandable. The professor pointed out that Russia has repeatedly called upon the US leadership to separate "moderates" from jihadists and put them geographically away, so that the Russo-Syrian coalition could focus on eliminating terrorists in Aleppo. However, although Washington pledged to do this it never did it, he added. Although al-Nusra Front terrorists "have been deleted" from the US media narrative, their actions speak louder than words. The terrorist group shelled civilians in Aleppo, following the introduction of 11-hour humanitarian pause by Moscow and Damascus on October 20. 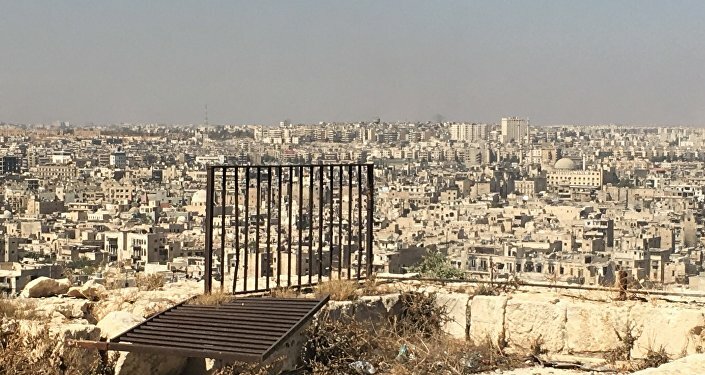 On Thursday a militia source told RIA Novosti that al-Nusra Front militants opened fire at civilians who wanted to leave Aleppo via the Bustan al-Qasr humanitarian corridor. "Some 2,000 — 2,500 civilians who wanted to use the corridors and flee eastern Aleppo gathered in Bustan al-Qasr. 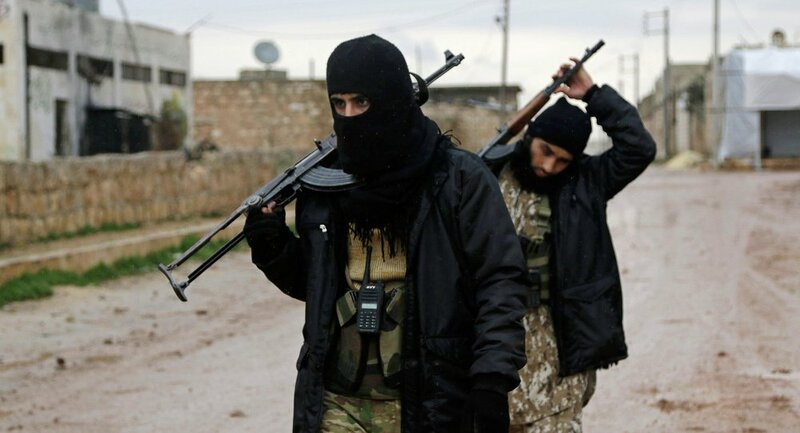 Al-Nusra [Front] militants opened fire and did not allow them to leave. Several people were wounded," the source said. Meanwhile hundreds of residents of eastern Aleppo took to the streets urging jihadists to let them leave the city. "People want to leave, we are tired of war. Hundreds of people have gathered in Hananu to demand that the militants let us go," a resident told RIA Novosti in a phone interview. Incredible as it may seem, a day earlier, on October 19, the United States, the United Kingdom, France and Ukraine blocked Russia's draft on the humanitarian pause in Aleppo and separating Syrian rebels and terrorists in UN Security Council. "Some of our friends have once again shown their true face: three [Western] permanent members of the [UN Security] Council and Ukraine joined them. They blocked it [the draft] as we expected. They don't know what they want and it's impossible to please them," Russian Ambassador to the United Nations Vitaly Churkin told reporters Wednesday. While al-Nusra Front is taking every effort to disrupt the humanitarian pause, the US and the UK is mulling potential economic sanctions to halt the Russo-Syrian operation in Aleppo. As Russian online newspaper Vzglyad's observers Andrei Rezchikov and Mikhail Moshkin suggested in early October, the US and its allies "will do whatever it takes" to prevent the Russian-backed Syrian Arab Army (SAA) from liberating the Syrian city.